Compared with landfill or burning, the tyre recycling machine mainly adopts the pyrolysis technology, which is a new green way to handle tire waste. Through the use of tire recycling machinery, waste tires can be effectively converted to these pyrolysis products, such as fuel oil, carbon black and steel wire, in addition, the tire recycling machine price is reasonable. 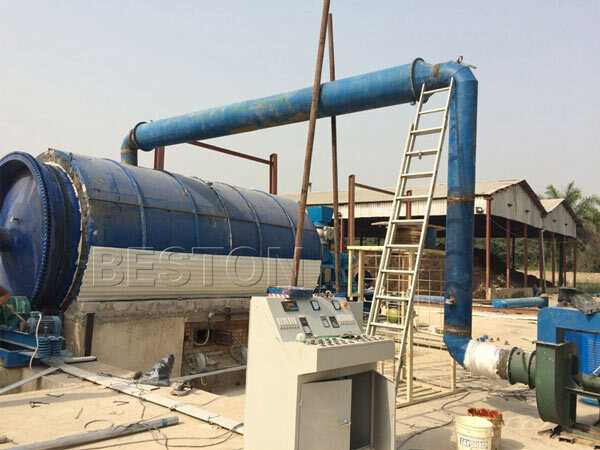 To meet the demands of different customers, we have six models of pyrolysis tire recycling machinery for sale. They are BLJ-6, BLJ-10, BLJ-16,BLL-20. So far, our products have passed CE, ISO, SGS certificates and have quality guarantee. Besides quality, we can also promise you first-class service.